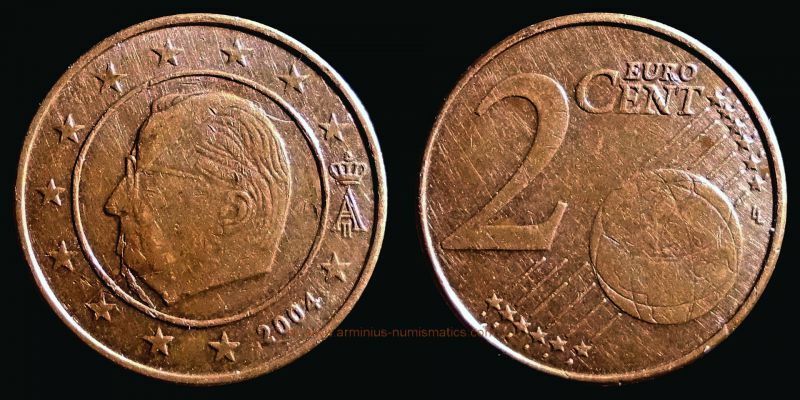 In the attachments you can see a 20 eurocent of Belgium 2007. There is a extra "island" above Norway. Also the 2 and 0 are connected with a small circle. Excellent detail pictures, Aernout. Without them, I would have guesses dirty die, rather than die defect, but you convinced me. Great find! Seems that Belgian mint is the European equivalent of Kolkata mint. Obverse die break within inner circle: starting below chin, continuing before left mouth and from eye to the top of head and direction third star from top right.